So a few weeks ago I released a new crochet pattern “The Miss Dolly Skirt & Kerchief”, inspired by “Miss Dolly” herself! Fond memories of watching the television program “The Grand ‘Ole Opry” and thinking to myself just how pretty Miss Dolly was. So I worked up my pattern and sent it out for testing. I love every single one of the sets my awesome pattern testers produced and today would like to showcase the beautiful results of their talents, and acknowledge each and every one of them! Thank you to Chris, Cj, Diane, Kristin, Liz, Lori, Nondas and Sarah! Just look at the results – AWESOME POSSUM! You can find the pattern on SPECIAL SATURDAY SALE for $4.00 today (reg. $5.50) on Ravelry by clicking on this link: “The Miss Dolly Skirt & Kerchief” no coupon required. There is even a bonus in the pattern, as Lori designed a sweet flower pattern for her kerchief and kindly allowed me to include that in the pattern – thank you, Lori! 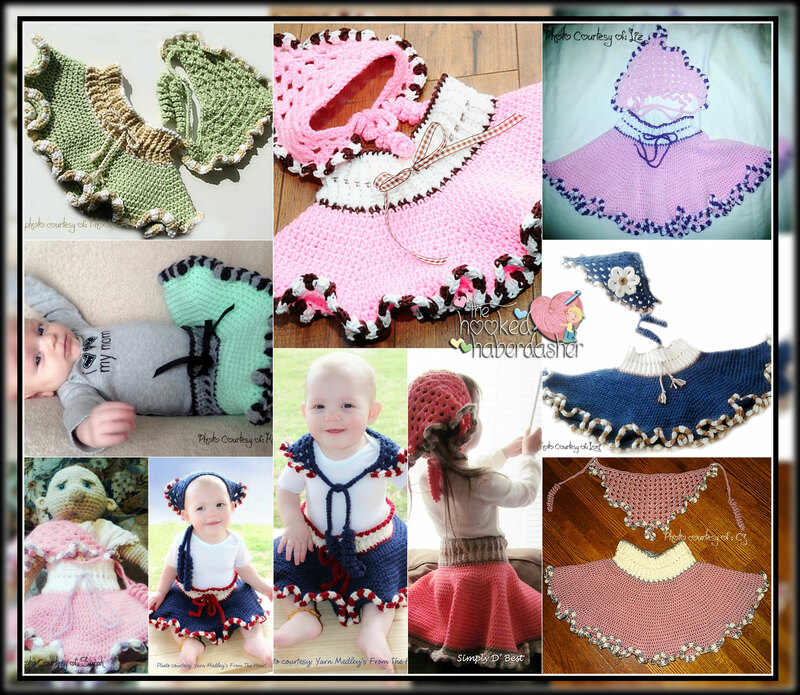 Posted on April 5, 2014, in PATTERNS and tagged cowgirl, crochet, crochet pattern, kerchief, miss dolly skirt & kerchief, pattern, Ravelry, ruffle skirt, skirt, wendy bickford. the hooked haberdasher, western. Bookmark the permalink. 3 Comments. Beautiful. All of them. I already spotted this on Ravlry and it is on my wish list! These are all so lovely. You should let me test something for you. I love testing patterns.